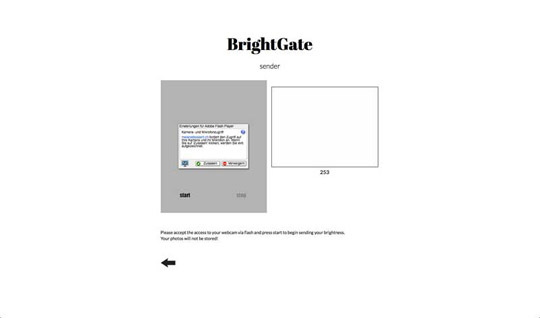 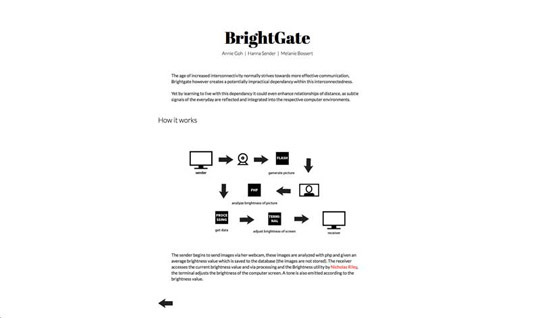 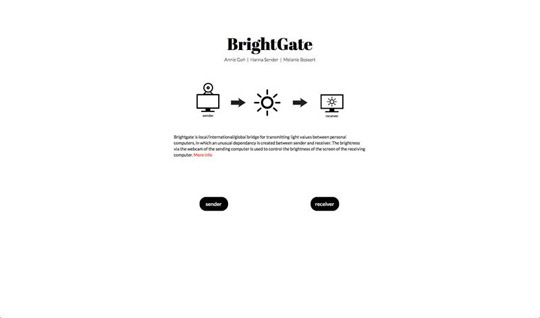 Brightgate is local/international/global bridge for transmitting light values between personal computers, in which an unusual dependency is created between sender and receiver. 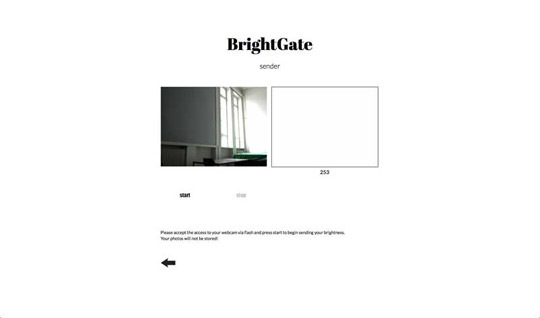 The brightness via the webcam of the sending computer is used to control the brightness of the screen of the receiving computer. 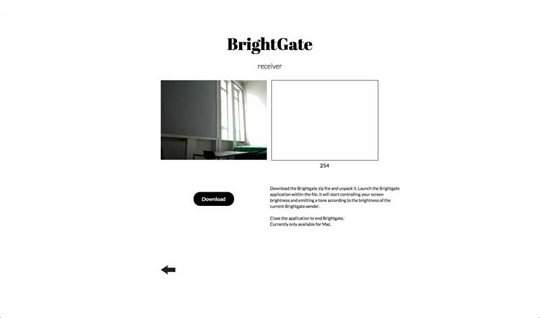 In collaboration with Melanie Bossert.